I review Jeff Encke’s (book) and write about David Hinton’s (book) for Web Del Sol Review of Books. What bees and babes is this place luring? Seattle is a place of transplants. The Heroes show, last night and tonight at the Jewel Box Theater in Belltown (inside Rendezvous… but that’s another story) explores the idea of Not From Around Here in six personal essays where writers and artists and musicians collaborate to map out their own experiences within this city and others. Maybe I’m partial, but Carrie Purcell’s segment was my favorite. Her piece interwove third person personal essay and the history of the King Cello with cello music by Hana Mareckova, It was beautiful, and I’m very glad I stuck around Belltown to attend. The place was packed into the aisles and everyone seemed to enjoy themselves. It’s refreshing to be reminded that other people aren’t from around here either. That they have the same difficulties that I do, that they have the same worries. Why did I come out here, is this really what I thought my life would be, how did I end up doing this thing? 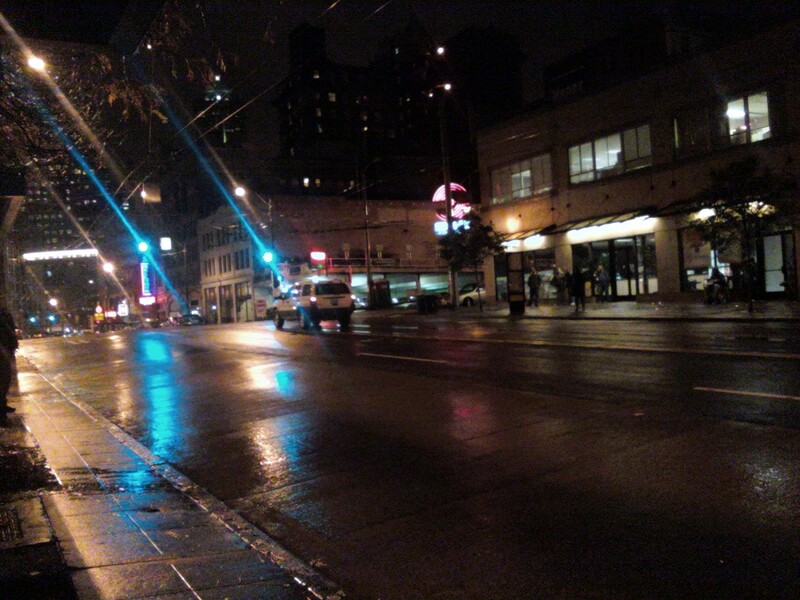 Seattle is starting to be my home, not just a place I am staying, and I like that. My housemate this morning mentioned something to the same affect- that I am taking ownership of certain things in the house were before, I was tentative. I think I have little patience for tentative action now. I want grand gestures, I want exclamations and affirmations. I want things put in containers and not just open glasses placed on a shelf in the fridge. I also continually want to share this place. I am not from around here, but I claim this as my own. 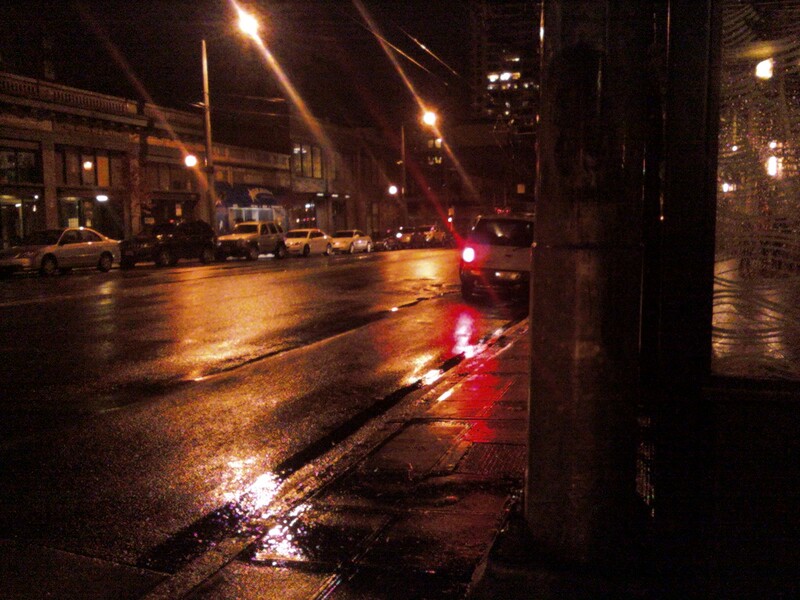 I want to show you the rain slicked streets, the light refracting off of the ground. I want to show you the crack along the horizon as the sun sets and the rain clears for just a moment. I want you to smell the perfume and sweat on the bus, to see the leaf as it blows twelve stories above the ground past the office window. I want you to hear the rain dripping through the ceiling and pinging off of the displays in the Great Gallery. I want you to leap over dips in the sidewalk with me, I want you to dance in the kitchen with me, to laugh with me as I tumble down the stairs. Apparently, in April of 2008, my work was the Web Monthly Feature at Verse Daily. Current work appears in the November issue of elimae.